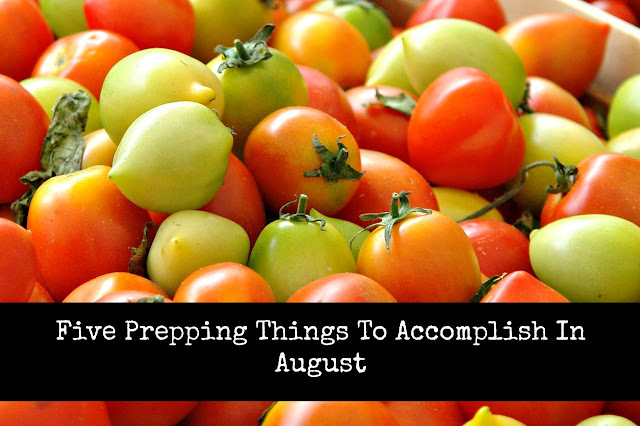 There is so much you can do in August! Summer is still here, the weather is mostly nice and hot, and the days are still long. People's gardens are producing like crazy and the farmers' markets are overloaded with the garden goodness. Kids are getting ready to go back to school if they haven't gone back already. We still have plenty to do though with prepping. Prepping shouldn't ever stop. I am half way through Survivors: A Novel of the Coming Collapse by James Wesley Rawles. Talk about an eye opener! This is a fictional novel, but that shouldn't stop you from reading it. The scenarios presented in this book so far are very realistic and has made me think about a few things in a new light. 1. Time to stock up on office supplies. Back to school sales are going on right now. I like to get stocked up on reams of printer paper, notebooks, pens, pencils, printer ink, and flash drives/memory cards/SD cards. This is also a great time to replace printers and/or laptops because they are marked down almost as well as on Black Friday sales. You can also find good quality backpacks for bugout bags, get home bags, and everyday carry bags. I justify stocking up on office supplies as prepping because I will still need these things if I still have access to power and WI-FI. Most of my work can be done on a computer and I need these things to keep up with business. If the grid is down, I will be back to doing a lot on paper. 2. If you haven't learned how to can food yet, you need to learn this month. If you are starting from scratch, I have a very good blog post about what you need to start canning. Whether you planted a garden, got produce from a friend, or went to the farmers' market, now is a good time to learn. You can start with something easy like canning green beans or using Mrs. Wages packets to make salsa and pizza sauce. You do not have to start our canning anything complicated. I try to only can food that my family will eat. Even I have had some hits and misses. However, in my opinion, canning is one of the top ten skills you need to learn for homesteading and prepping. 3. Whether you are canning your own fruits and vegetables or need to buy them, this would be a good month to get stocked up on cans of fruits and vegetables. If you think you have a good supply, now would be a good time to inventory your fruits and vegetables stockpile. Take note of what needs to be eaten up and what needs replacing or replenishing. I would pay special attention to anything tomato based. I have come across a bulging can or two in the last year and eating those are a definite no-no due to botulism. Even if you think you have a good supply of canned fruits and vegetables, I would still add more. I would try to buy these by the 12 packs if you can. Being in flats makes the canned goods easier to stack and store. Aldis is a good place to buy canned fruits and vegetables by the flat or case if you cannot can your own. 4. Now is also a good time to get your important documents and pictures onto a flash drive. This flash drive may save you a good deal of headache and time when you lose those important documents or insurance cards. I would scan them into the computer and save them to the flash drive. If you have this done, you may want to update the information if you need to.You may want to do this twice and keep one on you and one in the safe. I would also take pictures of your vehicles, license plates, recreational vehicles and plates, VIN numbers from those things, and upload them to the flash drive. You never know what you may need to report to the insurance company and have replaced. I would also do this for anything valuable in your home. You can also take a video of each room and upload it to the flash drive also. Do not forget about your kids' valuable information. If they have state provided IDs or driver's licenses, get those uploaded. Our school sends us a Student ID card with their school picture on it and I would also scan that on to the flash drive. Any birth certificates, social security cards, life insurance policies, passports, and even important medical documents should be on this flash drive. 5. Time to check your everyday carry. Do you have an everyday carry? This is what you carry in your pockets and purse. These are the things that you will need if there is an emergency or you may need to defend yourself in some way. These are the things you cannot and should not live without. I keep a lot of things in my everyday carry, but I noticed the other day that my everyday carry bag needs updating and possibly some rethinking about what I want to carry. You should do this every so often just to keep what you have on hand fresh in your mind. While you are at it, if you carry an everyday carry bag, clean it up and organize it too. 1. Check your planting zone. If you can, plant some more things in your garden. We have a second planting of peas right now and I hope to add beets and carrots to the garden soon. If you use hoop houses or cold frames, you can plant more and really extend the life of your garden. 2. Now is a good time to order strawberries, blueberries, and garlic to plant in the fall. When they come in, plant them right away and water often and well. You will have a great crop of strawberries and garlic next summer. Clean Out Your Freezers With Me In August! 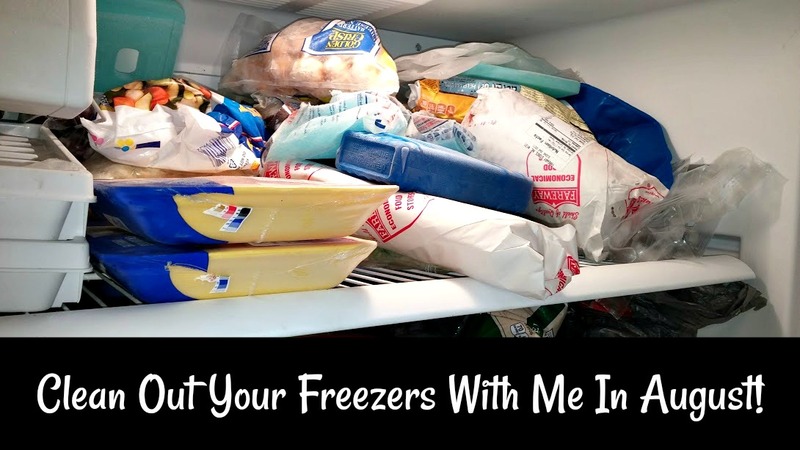 I declare August as National Clean Out Your Freezer(s) Month. School is starting soon for us and may have already started for you. Summer bounty is flowing in from the garden. There may still be meals in the freezer from last year's freezer cooking binge. There may be meat from 2014 in the bottom of the freezer. There may be frozen vegetables and fruits from 2012. You may have a storage shortage in the freezer. You may have to get really creative in order to put even more in the freezer! Most of those, if not all, are a true story in this house! I bet they are true for your house too, but I will not point any fingers. 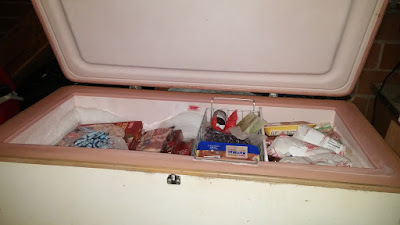 I have a full-size chest freezer as well as the freezer in my refrigerator. I am going to concentrate mainly on the chest freezer, but the other freezer will be looked at too. No matter if you are a prepper or a homesteader, this needs to be done. You need to keep rotating your stock or you might lose it to freezer burn or worse. You have to make room for any garden produce you might freeze. If you are into frugal living or sustainability, food waste is your enemy. Losing food to sheer negligence or lack of organization is a detriment to everything you are trying to attain. How should we go about cleaning out the freezers? However works best for you. I would recommend doing an inventory of all the contents of your freezer and using up the oldest food first. If some of that food is badly or obviously freezer burnt, pitch it or feed it to the chickens if the food is safe for them. You don't need to eat bad freezer-burnt food for the sake of saving money - trust me, I have done that and it wasn't pleasant! If you want to put the freezer inventory on a spreadsheet, I would recommend this one from Lesa at Better Hens and Gardens. If you want to do just printable freezer inventory sheets, I really like the printable from Fun, Cheap or Free. She also gives great tips! Now I am one of "those people" who think food that frozen and still looks good is edible. I don't take much stock in dates on frozen food. 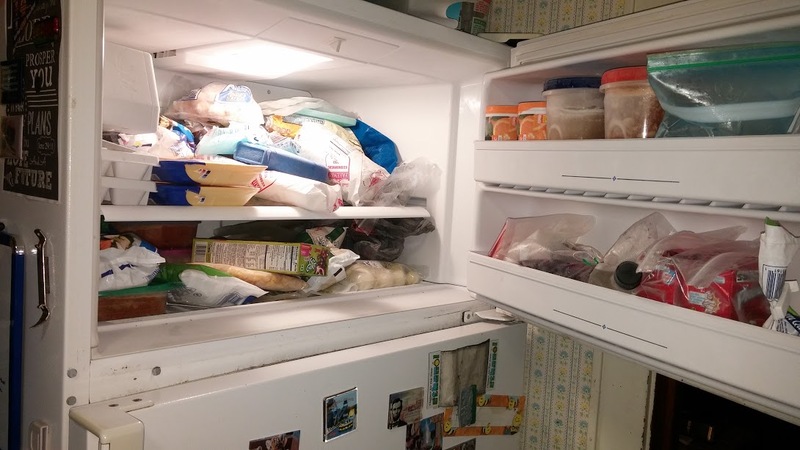 However, for this freezer cleanout, you should probably eat the oldest food first due to making room for new and better tasting food. Now, if being this organized makes you twitch, you can do a simpler method(s) that I have also used myself. You can work from right to left/left to right in the freezer. You can just grab a basket, find the oldest food, put that food in the basket, and vow to eat that up first. You can just open the freezer, grab the first thing you see, and make something with it. You can do whatever floats your boat in this challenge. At the end of month, when you have eaten down your freezers, you should probably spend some time on Labor Day weekend or before cleaning and defrosting your freezers. Goodness knows they will need it! You will be able to see how gross they have probably become! For this to be fun for everyone and to follow me while I do this, you can follow me on Instagram where I will post regular pictures of what the freezer looks like and what we are eating. You can also follow me on Facebook where I will also post pictures and encouragement for you all. Please join me in this Freezer Cleanout Challenge! I would love to see what you are all doing as well! You can tag me by using the hashtag #lifeinruraliowafreezerchallenge. If you all use the hashtag, you should be able to see what each other is doing too! We can encourage each other! Let me know in the comments if you are joining and what you want to accomplish in this challenge! July is the time of the year that flies by so quickly. There is never enough hours in the day to get everything accomplished. The weather is hot and very humid (at least in Iowa it is!). The garden is growing like crazy. The grass and the weeds are either having a competition to see who can grow the fastest or the grass is burnt up and the weeds still need to be mowed. For July's prepping accomplishments, I tried to keep the list easy to do since this is a busy time of the year! Some people might find some of these things a challenge and that is good. 1. Make a meal list using only food storage foods. I am including everything in the food storage. However, I am going to make two lists. One list will involve the refrigerator and freezer foods because, in some instances, you will still have access to those foods. If you lose power, those foods need to be eaten first. My second list will only include foods that are shelf stable. Those meals will come from canned food, commercially canned food, food buckets, freeze dried food, and whatever else doesn't involve a refrigerator/freezer. In this list, I will also make a note if the recipe needs additional liquids like water, broth, and juice so I can be sure to have plenty on hand. 2. This month I am focusing on stocking up on breakfast foods for my food storage. I want to make sure I have a good supply of oats (steel cut, rolled, and quick), cereal, granola ingredients, granola bars. oatmeal packets, powdered eggs, pancake/waffle mix, and whatever else we like to eat for breakfast. Your breakfast stock up will depend on what your family likes to eat for breakfast. I am including quick grab and go breakfast foods as well as homemade breakfasts because you do not know what you will need and if you have the means to make a from scratch breakfast. 3. Find three ways to disconnect from the grid this month. Electric bills in July can be horrible because of so many people using air conditioning. This drives up the on-peak demand usage which gives you a higher bill. Nevermind, the additional stress on the grid which can cause blackouts and brown outs. Find a few ways to disconnect from the grid. You can used propane powered items like a smoker or the grill to cook your meals. I have done enchiladas and casseroles on the grill just to keep the heat out of the house. Make your own solar oven to bake bread in. Use your solar chargers to charge your electronics. Dry your clothes outside. Do what you can to use less electricity and practice being off grid however you can. 4. Buy some extra gas cans and stockpile fuel. Buying your gas cans now will save you later when a crisis happens and everyone wants them. I would buy at least 2-3 each for gasoline and diesel. If you don't have anything that runs on diesel, you can skip that. I would fill them with unleaded gasoline if you can find it. We can still get 91 gas as opposed to 87 which contains more ethanol. Gas with ethanol goes stale quicker than unleaded gas does. You can add something like StaBil in the gas to make it last longer. I would also stock up on propane, butane, and kerosene if you have items that use those fuels. You can buy propane cylinders in 20# and 30# that will work with majority of space heaters and grills. If you are not sure, ask your local propane serviceperson. They will be able to help you. We keep 3-4 20# propane cylinders for our grill and heaters. For kerosene and butane, buy an extra few gallons depending on what you use and your storage capabilities. 5. Time to take a good look at your vehicle. Is it ready for emergencies? Is it well-maintained? Does it need something fixed? How are the tires and brakes? Now is a good time while the weather is nice to give your car a thorough cleaning and restocking. Organize your emergency supplies so you can find what you need without tearing the car apart. Fix the broken lights and make sure all the rest of the car is in good condition. Summer is here! I find that prepping in the Summer is so much easier than any time of the year. While we do have to worry about storms and the "gentle" breezes that try to blow us down, we have decent weather that makes us want to be outside. 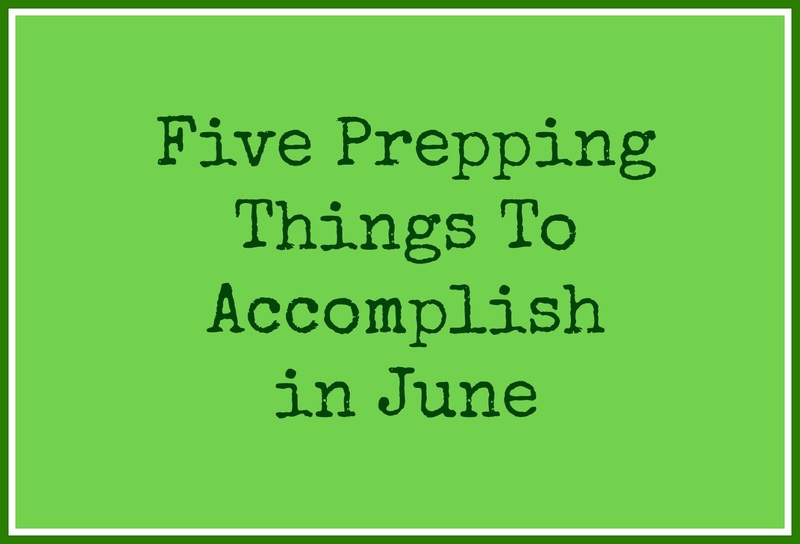 June is a good month to get things done. You can do so much outside! Your time should be more available unless you have kids in a hundred activities. Then you need to do your best to fit this in! 1. Fire starting skills. Most people have access to a fire pit whether it is fancy or just a hole in the ground. Otherwise, you can use a camp site, charcoal grill, or a spot in the yard you don't mind being torched. Now is a good time to work on your fire starting skills. While lighters and matches are awesome at starting fires, it is good to know how to use a striker and a flint and/or a magnesium stick. Research different ways to build a fire and start a fire. Then practice, practice, practice. This is one skill that will not let you down. 2. Freeze dried foods. Freeze dried foods are a great addition to any food storage. If you are unsure about them, many companies have small cans for you to experiment with. I personally think freeze dried fruits are pretty tasty right out of the can. I believe in a diversive food storage and pantry. Freeze dried foods do have a shelf life, but can last a lot longer than some canned foods. You will not be disappointed in having these in your food storage. 3. Get your eyes checked. One of the things that would be absolutely devastating to any prepper is the loss of your vision. Getting our eyes checked is not very high on anyone's list, but I would rather be looking through a good pair of eye glasses than wondering if that was an animal or small child coming at me while holding a gun. I have put this off for a few years too, but this is a definite must on my list this month. I know some of us are vain enough to not want to wear glasses, but your eye doctor might have some other options for you like contacts or corrective laser surgery. 4. Purchase and/or gather your personal safety equipment. We have talked about first aid in the past, but a critical component of first aid is preventing injuries in the first place. Having safety glasses, dust masks, gloves, hearing protection, arm protectors, and more will protect you from a serious injury. In a crisis situation, being protected from injuries can mean the difference between life and death. If you already have this equipment, please put in a clear tote by the tools you need to use it with so you remember to use it! 5. Get your death plan figured out and in place. You might think this is a morbid thing to do, but you need to have a plan for deaths in a crisis situation. Will you bury them in the yard, attempt cremation, or what? If you have a prepping group, what are the final wishes of the members of your group? Will you make coffins or bury in body bags/old sheets and plastic? Does your people want to prolong life if they know they are dying? What kind of end of life care will you provide? This is a lot of mind searching things to think about, but this information is vital to have on hand, printed out, and put in an important place. When May comes around every year, I get excited. I like warmer weather. Nicer weather motivates me to get more done. I can usually start planting my garden in May because the ground has warmed up enough to not kill the plants or seeds. I can clean up the yard, give the house a good cleaning, open the windows for a good airing out, and generally be excited to get projects done. While this list does not have a lot to do with being outside (except for planting new things! ), you always need to work on your prepping plans, your skills, and your food storage. I even encourage you to gather more information. Have fun and let me know what you got accomplished in May. 1. Plant edible perennials in your garden or create a separate place for them. By planting perennials, you have created a continuous food source for yourself and your family. Most edible perennials require little care once they are established. Blueberries, raspberries, rhubarb, strawberries, blackberries, and asparagus are all good examples of perennials that can yield you a lot of food to eat and preserve. 2. Take stock of your seasonings and spices in your pantry and food storage. How is your salt supply? What seasonings and spices do you use the most? How is your stockpile of them? At our house, we simply cannot overstock on garlic salt. We use it more than regular salt. This would be a good month to take inventory of seasonings and spices. You can add more of what you need and use. I suggest adding a 3-4 containers of salt, 2-3 containers of black pepper, and several containers of the seasonings/spices you normally use. 3. Add to your reference library. Back in January, I suggested reading some good books on prepping. I also believe that you should have a good reference library in your own home. You might not have access to the local library or the internet when you need information on how to make something or fix something. I would suggest books on first-aid/medical, canning, gardening, off-grid living, reference manuals, how-to-fix manuals, and anything else you think you might need information for to live day to day and solve problems. Thrift stores and garage sales are good places to pick up books cheaply. 4. Learn how to mend clothing and other fabric items by hand. A needle, thread, and scissors are all you generally need to sew a button back on, fix a ripped seam, or close up a small hole. This is not just a frugality thing. In a case of SHTF, you will need clothes to last longer than usual. Mending a small problem by hand now will save the item from a bigger repair. If you already know how to do this, expand your skills to neatly patching clothes and learning how to darn a sock. 5. Have a plan in place to deal with sanitation in the case of a disaster or crisis. In case of a SHTF, sanitation will be a huge issue. Some of that issue may depend on whether you have electricity or not. If you are able to flush toilets, great! Otherwise, you need to have a plan in place to deal with bodily waste like a makeshift toilet or an outhouse. You will also need a plan in place if you have no garbage service due to a SHTF. What will you do with the garbage from your home? You can burn it, bury it, compost it, and/or reuse it if possible. Some of this will depend on where you live as to what you can do, but you still need to have a plan in place. March is a fun time of the year! You never know what kind of weather you will have, if Spring will actually come in March, and if Winter will ever end. Below, I have a few things you can do this month to keep the winter doldrums at bay and make the time go quicker! 1. Buy plastic and plywood for your windows in your house. We recently had a hailstorm near us that caused a lot of damage. Many homeowners had broken windows from golf ball sized hail. Having a some plastic to put over your windows will keep your home protected from the elements until someone can come and fix it. Also keeping a roll of black plastic will be handy in case you need to black out your windows for any reason. Plywood is another good way of covering up your windows if they break or have the potential to break in a bad storm. What alternate routes can you take? Where is everyone going to meet? Which vehicle(s) will you be taking? Put a copy of this somewhere safe or in your bug out bag. Make sure everyone in your household knows the plan. The most important part? Practice, practice, practice this plan! 4. Sharpen your tools. If you are a gardener, now is a good time to sharpen your shovels, hoes, trowels, and other tools. If you have knives, now is a good time to sharpen them whether they are for the kitchen, personal carry, shop, or outdoor use. Keeping your tools sharp can make a job go faster and prevent injury from dull tools. And no one likes a dull tool. 5. Daylight Savings Time means check your batteries time. Daylight Savings Time is a good time to check the batteries in your smoke alarms and carbon monoxide detectors. If you do not have these, now is a good time to get them installed. March is also a good time to check your fire extinguishers to make sure the pin hasn't been pulled and nothing has gotten rusty. You should also take the time this month to make sure the kids and the adults know what to do if there is a fire: how to get out the house, use the fire ladder, where to meet outside the house, and how to call for help. February can be the most boring month of the year. You are still cooped up in the house. The snow and ice are still making their appearance. Valentine's Day is still a holiday. You know blah, blah, blah. In other words, February is a prime month for cabin fever! As usual, though, I am here for you! I have five prepping things to do in February that will definitely help your preps as well as give you a piece of mind. I did concentrate on the letter "F" for things to do. 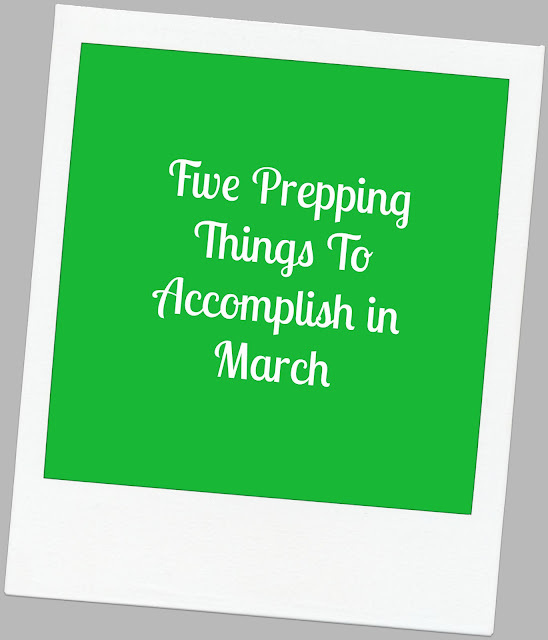 All these things are easy things to do, should be done with your family, and can easily be accomplished this month. 1. First Aid. How is your First Aid Kit? How are your First Aid supplies? I discovered one day last month that I was out of several types of Band-Aids. I found out when I sliced open the top of my finger. Not a great time to find out, by the way. I made due with what I had, but definitely put those things on my next shopping list. 2. Clean Out and Organize One Area of Food Storage. Some of you are super highly organized and have your food storage organized to perfection. Then there is the rest of us. However, we all still need to look at our food storage. Is there one area of your food storage that needs to be eaten up a little? Or beefed up a lot? Do you have more expired canned goods that you thought you did? Have you even touched what you canned last summer? Now is a good time to address these areas. Too much of one thing can be incorporated into the meal plan. Expired goods should be too. I know I mentioned doing this in January, but February is also a good month to do this. 3. Finding and Identifying Sources of Water Near You. This is good project to do now because you can access topographic maps of your land or township online for free. You can identify sources of water near you in case you need it. No water near you? Now is also a good time to plan a rain catchment system for your home and/or buildings. Also you might want to plan a way to get water to you if needed and ways to store that water. 4. Find a Hidden Storage Space in Your Home For Your Preps. We all have empty spaces that can be used for storing preps. Some of you are tight on room and I understand that. However, look at putting totes under the bed, cleaning out a closet that might be full of stuff you will never use again, an empty cabinet, behind the couch, and even using a dresser. We all have places and spaces we can store more prepping stuff and perhaps a bit more discreetly. 5. Figure Out What You Are Planting in the Garden. Have you started getting gardening and seed catalogs? Now is good time to plan what to plant! What worked for you last year? What didn't you eat? What should you have planted last year? All these questions will help you plan for this year. And...depending on your zone, you may be able to start seeds inside! Yeah! If you are an apartment, condo, or duplex dweller, a garden may not be possible. However, if you can have some containers outside your door or on your patio, you can still have fresh vegetables! Knowing how to grow food is so important and I would encourage you to find a way to do so no matter your circumstance. I hope you can accomplish these things in February! Let me know how you did! 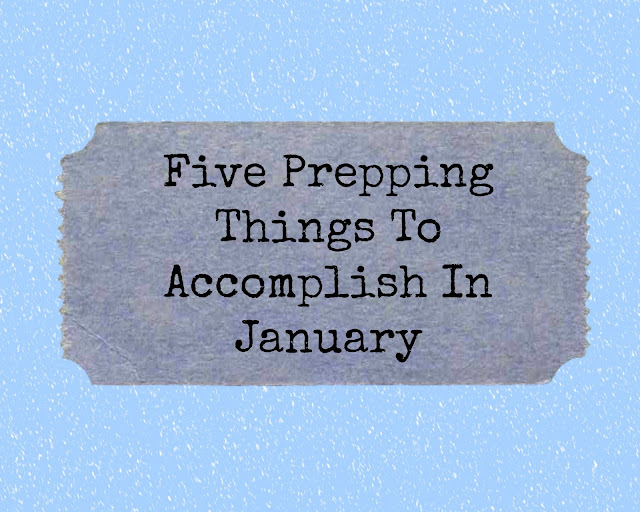 January can be a slow month in the prepping world. The weather is usually less than ideal to be outside. The desire to work on the New Year's resolutions is strong and you need to take advantage of that! Did you make any prepping goals for the year? I didn't, but I have a list of things that I want to accomplish. I thought I would share a monthly list of prepping things you can do in January to get the year kicked off right. 1. Start working out. You want to be inside anyway so it is time to get moving. Join a gym, get out those exercise videos, find an exercise video on YouTube, and/or find a workout you enjoy. You can also go outside and get a brisk walk in. Just get moving! Prepping does involve your physical health and now is the time to take care of it! If you are afraid you can't stick with an exercise plan, set up an alarm in your phone to remind you. Also remember, it takes 21 days of practice to make a habit stick. Nothing is different for keeping in shape. 2. Since winter is a good time for soups and casseroles, now is a good time to clean out the food storage. Find the out of date and soon to expire foods in your food storage. You can set them in a basket or on a special shelf so you remember to get them used up! Make these foods apart of your menu plan in January and February if need be. 3. Make out a list of projects you want to accomplish this year and set up a timeline for getting them done. I have a lot of indoor projects to do and I set up a plan to get 1-2 of them done a month. I already started with getting an indoor bedroom painted and stripping the floor. In prepping, keeping your home in good shape is very important especially if you want to bug in instead of bug out. 4. Start a home emergency cash fund. Having a stash of cash at home is very important in case debit/credit cards don't work. It also comes in handy if you need to pay someone at the door. I recommend having a variety of denominations in dollars and a jar of change. It is a very simple list and I think you can get it done! Let me know what you did and what you got accomplished! It's National Preparedness Month! What You Should Do To Celebrate! National Preparedness Month is a very important month in any prepper's year! Many of the preparedness supply companies run great sales. Many of the prepping sites offer a lot of great advice. FEMA and Red Cross even get in on the action. National Preparedness Month is a great time to remind the non-preppers to get a few emergency supplies. You can show them the information that the Red Cross even recommends having 3-14 days worth of supplies on hand. FEMA has on their website that this week is Preparing Family and Friends by making emergency plans. Sometimes non-preppers need evidence that other agencies recommend being prepared. You should take inventory of your own preparedness supplies. Is everything still working? Do batteries need to be replaced? Is the food still good or expired? Is your 72 hour kit still relevant or does it need updating? 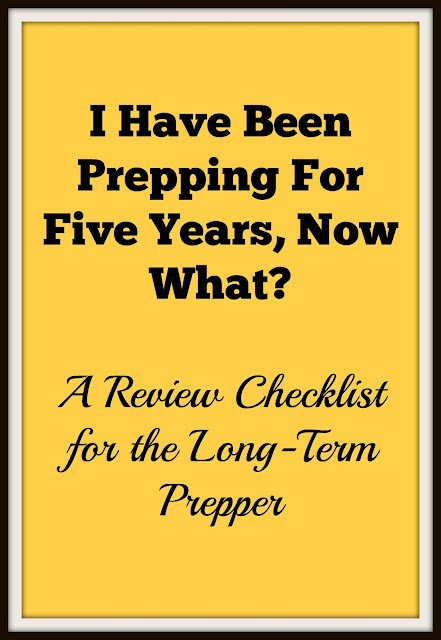 I wrote earlier this year about a checklist for the long-term prepper. It would be a good list for you to go over your preps with! Are you talking to your neighbors, family, and friends about prepping? This month is a great time to get started! You might be able to get a good group of trusted people together in case of an emergency or disaster. 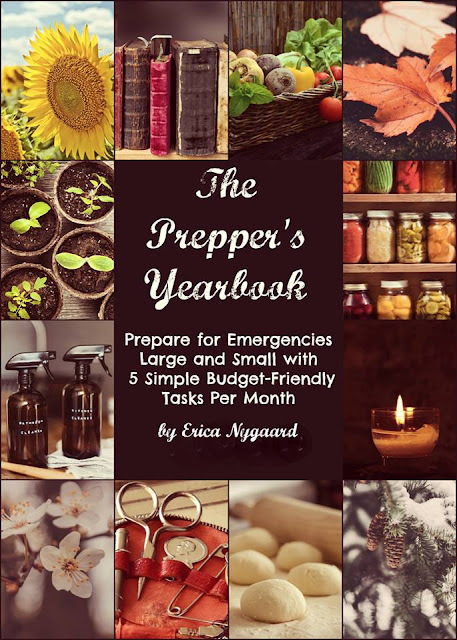 You might find out your neighbor is just as much of a prepper as you are! You might be able to open someone else's eyes about getting ready their own SHTF situation. Now is the time to address these things. In the past, I have participated with other bloggers in the 30 Days of Preparedness Round-Up to celebrate National Preparedness Month. Their articles are still very relevant today and are a great read! 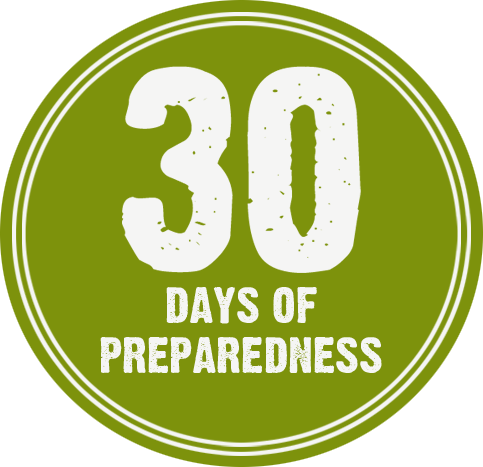 I hope this helps you to get more prepared during National Preparedness Month and all year round! 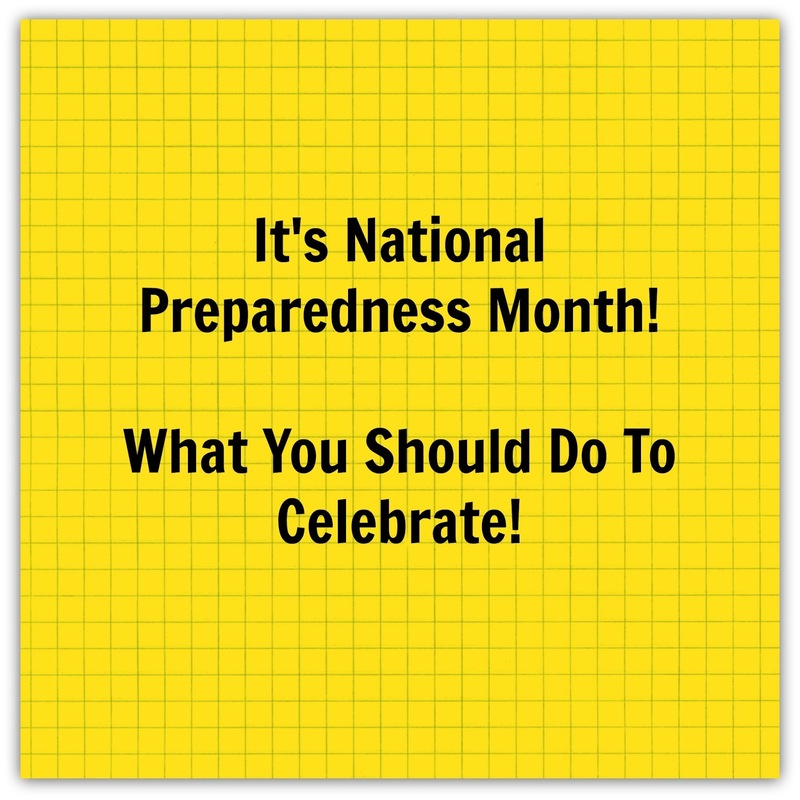 Celebrate by getting your family and friends ready for anything that may happen! We, mostly Rob, got the garage cleaned out and organized. We still have some more cleaning and organizing to do, but the garden tools and shovels are all hanging up! I have dreamed of that for quite a while! Rob also tore out some shelves that were rotting and falling apart. He also did a lot of sweeping and dusting. The garage was pretty dirty! 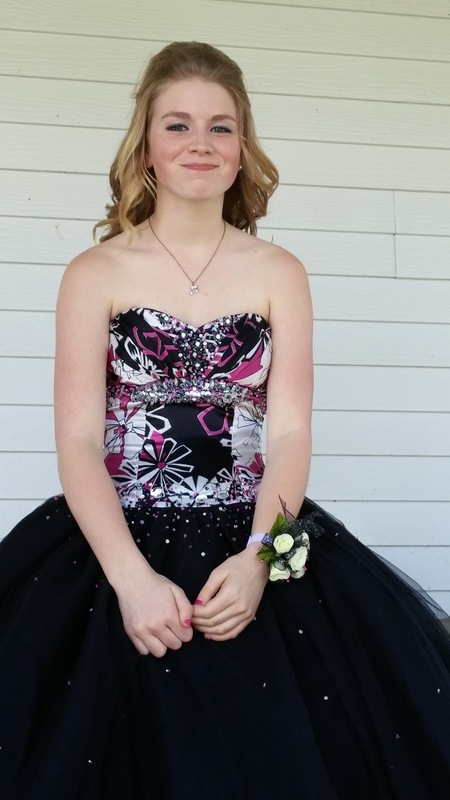 She wore a dress that her older sister, Jordan, wore to her junior prom. This dress was in pretty decent condition, but I had to use my sewing and ironing skills. I fixed and sown back on the beads and larger rhinestones that came loose. The skirt had a couple minor tears that I sewed back up. We spent $26 to get her hair done and grandma bought her a new pair of heels to wear. Jordan applied her make-up and Paige wore jewerly that she already had. A fairly frugal prom! The chickens are still alive. We have been free ranging them again and so far no hawk. We did find out it was illegal to shoot them. I am looking into other ways to discourage them from eating my chickens! Other than that, we have been going to track meets, cleaning, and generally keeping up with life. The cats will go to the vet tomorrow and that should be more fun than it sounds. One of the cats is deathly afraid to even leave the house so this is always a fun trip. I wanted to let you all know about a new site for starting and adding to your current food storage. Preppers Market carries healthy emergency food storage with none of the nasty stuff you don't want! It tastes delicious and offers a great variety for you and yours. It would make a great gift to help jumpstart someone's food storage or add to their existing food storage. Check it out! 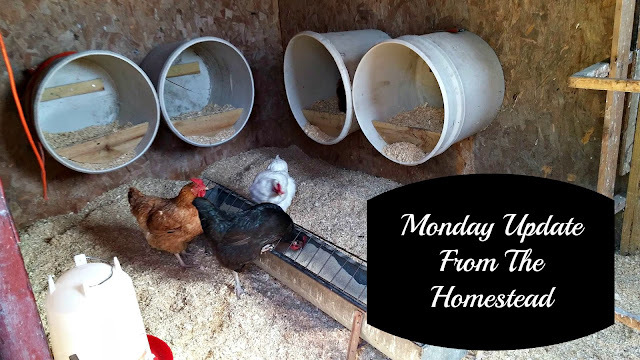 What is going on around your homestead? Many of us have been prepping for quite a while. We started by getting some more food, a few cases of water, and some gear. Then prepping took over our lives and we now have a lot of prepping things and a good size food and water storage. I have been prepping for longer than five years, but I know that I have areas of my prepping I need to revisit. I bet you do too. As I have been decluttering and reorganizing, I have noticed things getting a little out of date, maybe a little dusty, maybe a little rusty, and some of it definitely being unused. I know our emergency plans are out of date and we have a lot of revisions to make. 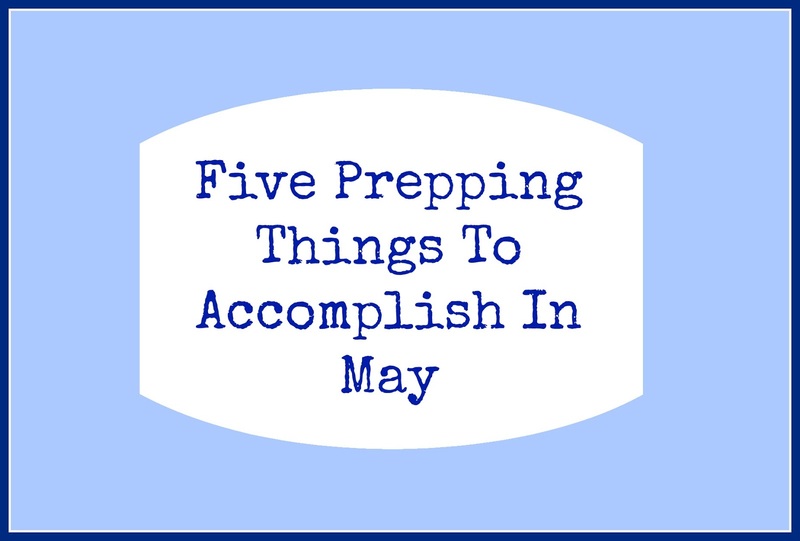 Here is a list of things you need to check if you have been prepping awhile. While we should be checking our preps every six months to one year, time does get away from us and we get busy with other things. 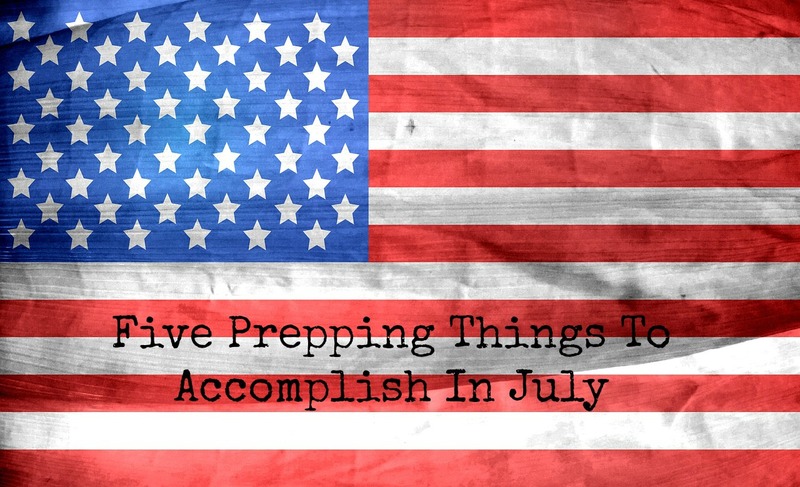 Now is as good time as any to get your preps in line for, you know, just in case! Is the food still things you would eat or not? Is there any obvious holes in your food storage your need to fill? Do batteries need to be replaced? Do I have a good stock of batteries? Does the oil, gas, or propane need to be replaced? Have you started or used this prep lately to make sure it works? Is everything in good condition? What needs to be repaired or replaced? How is everything holding up in the caches? Time to rotate the food in the caches? Cache container still have good camouflage? Ammo and guns still in good condition? Knives sharpened and in good condition? Other methods of defending yourself still in good condition? Does everybody still know their role in the home security or does your plan need revision? Is all your window and door locks in good condition? Is your home still invader-proof? Walk around the house to make sure. How are the fire extinguishers? Still in date and still functioning? Rope ladders from upstairs rooms still in good condition? How are your smoke and carbon monoxide detectors? Still working well or need to be replaced? Still have an adequate amount of gas, propane, and/or diesel on hand? Container still in good condition? Do you still have a good amount of bedding and supplies for those that might show up in an emergency or disaster? Is the clothing and shoes still size appropriate for who is using it? Is the food still good? Do you still have an adequate amount? Does everything function correctly and is still appropriate for the person carrying it? Does the batteries need to be replaced in anything? Is there adequate amount of supplies for the people in your family? Do the bandages look old and/or might not stick anymore? Have your family's needs changed? Do you need baby stuff or not anymore? Is the over-the-counter medicines still in good standing or need to be replaced? Is everything still well-organized or need to be again? What do you need to add to your first-aid supplies? Is your evacuation plans still good? Does your emergency family plan need to be revised? Are your kids older or do you have kids now? Do you need plans for your kids in college or on their own? Do you need to have plans for your parents and older family members? Is your emergency information updated? Is your phone list still current? Do you need to update your personal information in your family emergency binder? Do you have an updated list of all medications your family is taking? Do you have current health histories on everybody? Is your vehicle emergency kit current? Does anything need to be replaced? Is your Every Day Carry current and still useful? How is your emergency cash fund? Does it need to be replenished or increased? 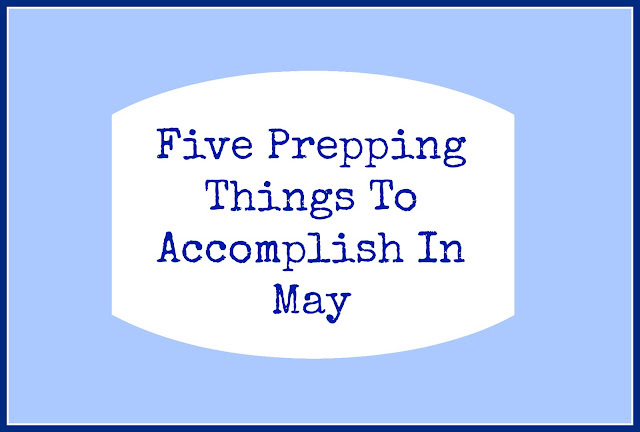 There is so much to think about and do when you are prepping. 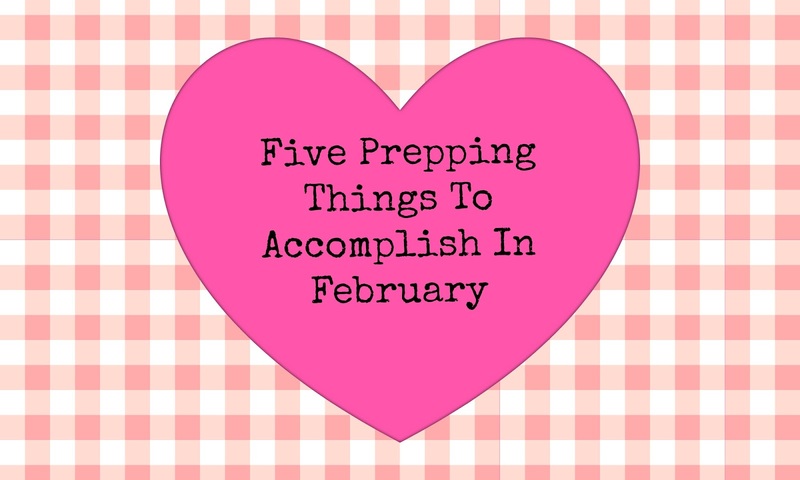 Checking your preps can sometimes get lost in the busyness of prepping and living life. While I am sure I missed some things that need to be checked, this basic list can get you started on making sure you are covered in an emergency or disaster.